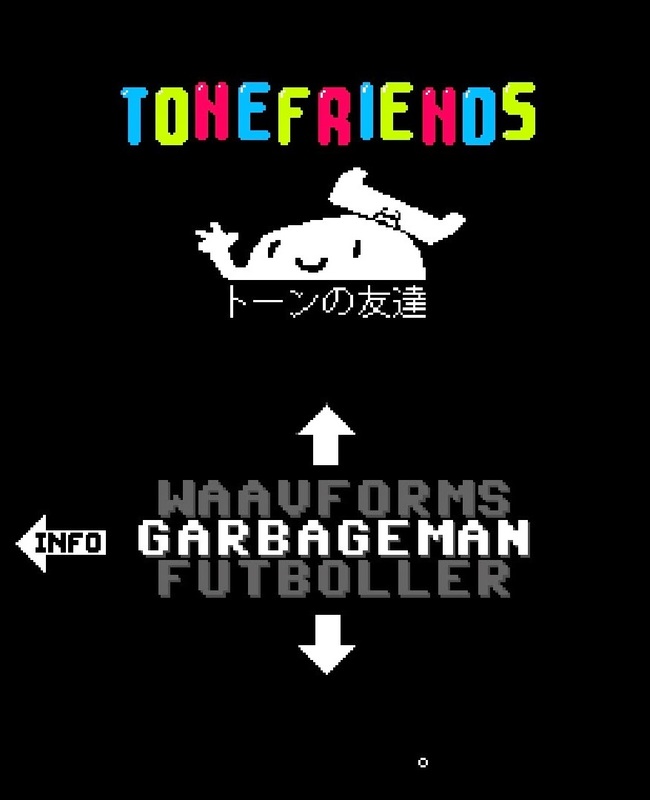 Tone Friends by developer 01010111 is advertised as a "cute collection of music and sound games for anyone to play." 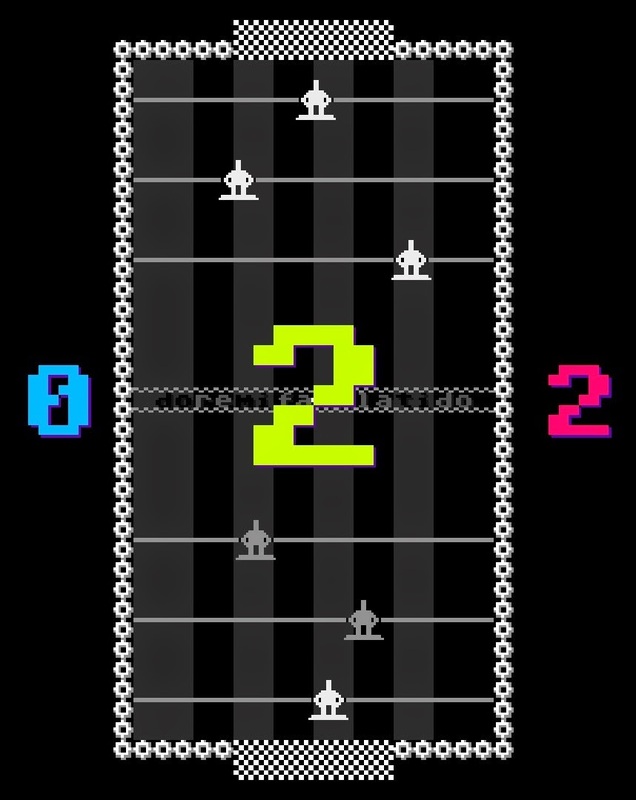 Comprised of five simple flash games based around the basics of music and sound, it's an interesting diversion that unintentionally pulls off a great feat. In a world comprised of exploitative business models disguised as games for kids, Tone Friends manages to be a great interactive experience for young children that can also teach a little about music, as well. 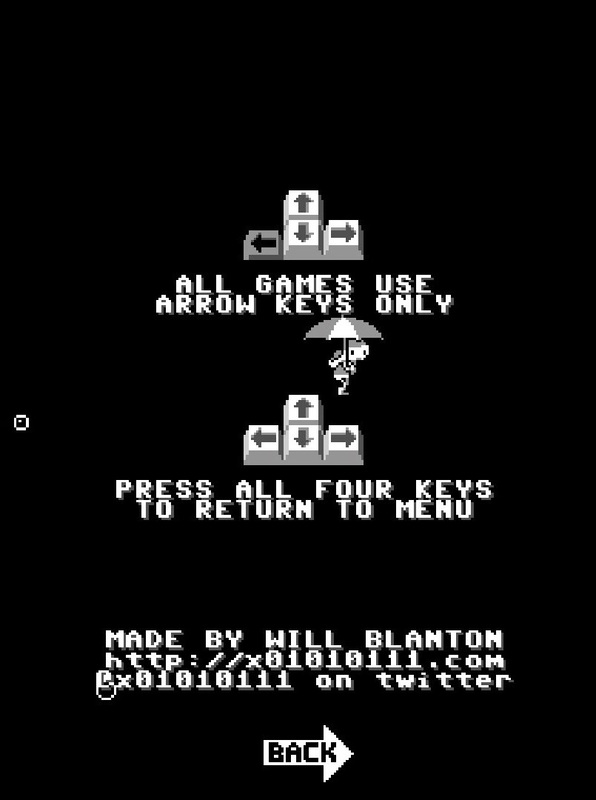 All games are entirely controlled by the arrow keys, and most are easy to comprehend with little instruction. 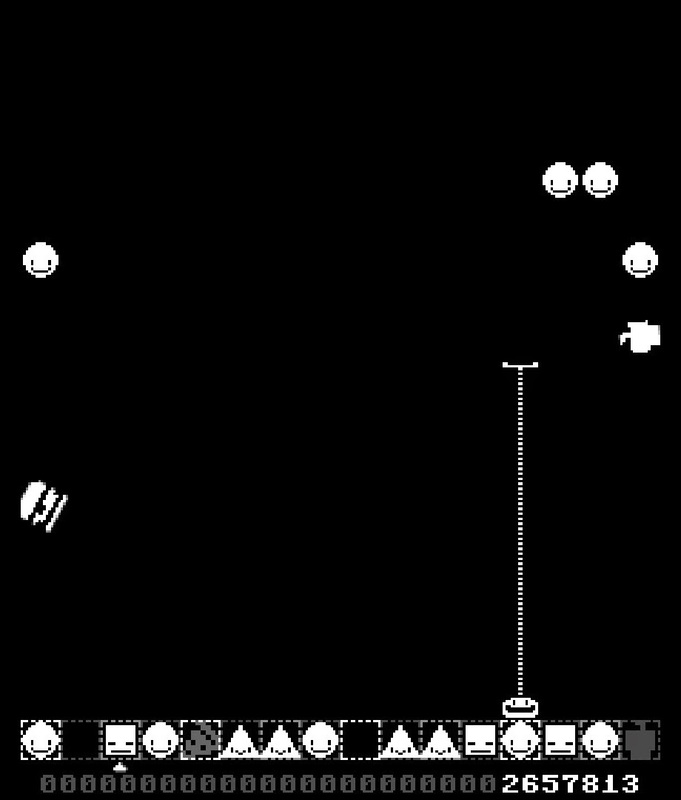 The art style evokes some of the earliest video games, with simple pixel art work and black and white color palette. Flashes of color and some higher fidelity designs are used as accents, which stand out from the more primitive surroundings. Colors mark out success, help denote what's important in the game, or just provide extra feedback along with the sound. Most of the activities offered have no win states and scores are not especially important. The atmosphere is friendly and silly, with octopuses, rainy days, and accidentally destructive aliens who just want to abduct some friends. It's a safe environment that shows a childlike glee for experimentation. Each of the five activities is distinct. "Garbageman" stars a round creature with a long claw that collects shapes and places them in a sequence of boxes, alongside the garbage they drop. Different shapes generate different sounds as the beat crosses their boxes, with garbage causing brief silences. Each round of play creates its own unique melodies out of the chaos of the gameplay. "Futboller" is simply a virtual game of foosball played against an AI opponent. Each of the three foosball players can only be controlled one at a time, making it a frantic scramble to take control of the right position to intercept the ball. As the ball bounces around the playing field, it sets off different tones, creating a cacophonous soundtrack for the game. This is the most "gamelike" activity, with a set number of points to score for victory. It's surprisingly engaging and challenging, and would have been fun to have a two player mode. "Cephalobeat" is the most adorable offering, even if it is the most simplistic. 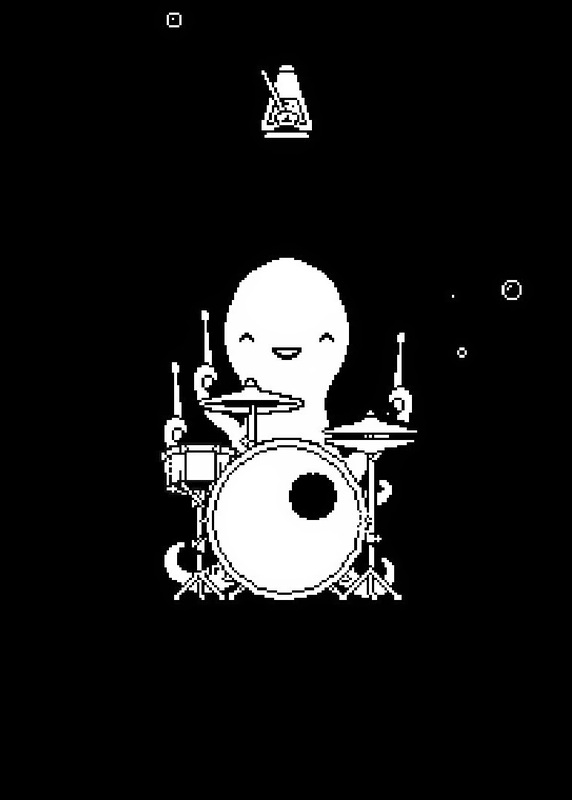 There's a drumming octopus, and the arrow keys each play a different part of the drum set. Colors flash and the octopuses expression changes with each beat, but the entire point of this activity is to beat the drums with or against the rhythm. "Chordaregn" is a piece of art on its own, and the best teaching tool. 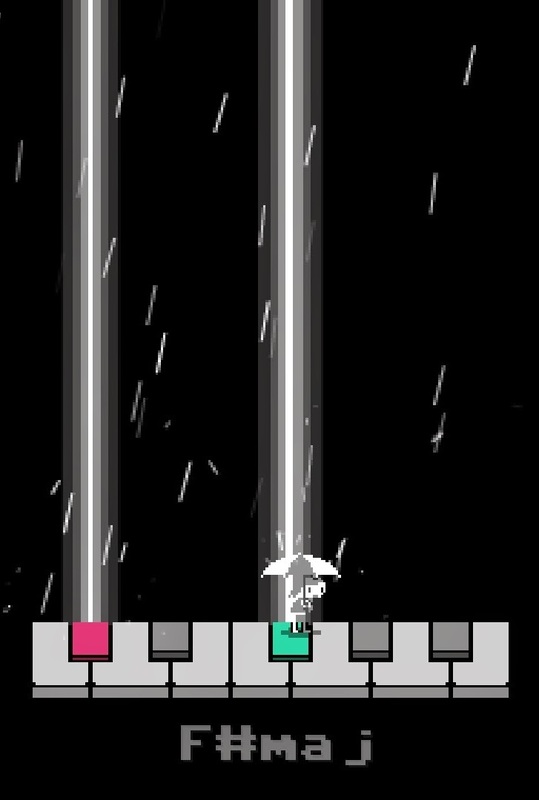 A small child wanders across a giant keyboard through a constant rain, with an umbrella alternating light and dark. By matching the umbrella and the child's position to the musical key displayed, beams of light and rain pound down on musical chord, playing the notes and displaying the correct set of keys. This is a great way to show and learn the position of notes and chords on the piano through experimentation. It's also a lovely bit of meditation, rain bringing music and color to a monotone world. 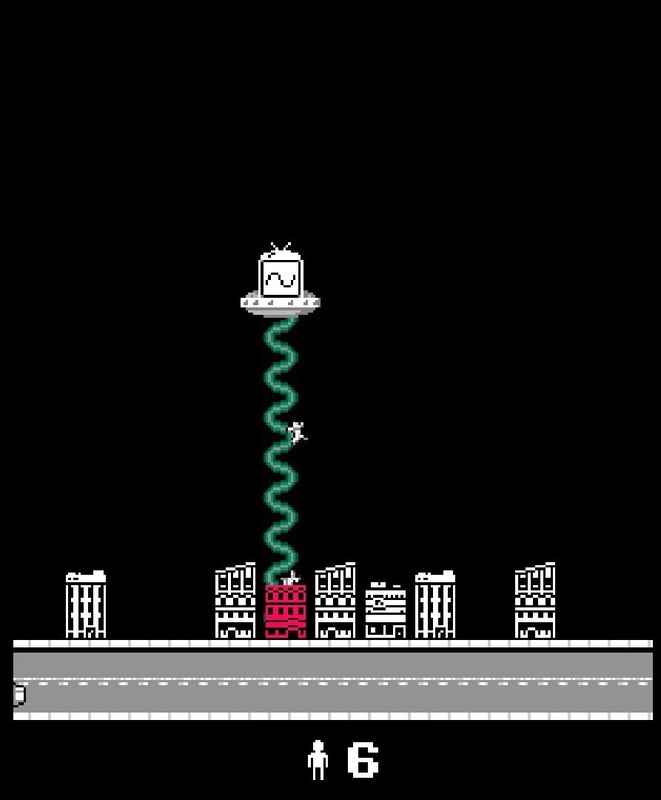 "Waavforms" is the other game with a bit of learning, as it requires the player to match sound waveforms displayed on a spaceship with the music being generated by different buildings. Matching the waveform to the sound beams people into the ship, while a mismatch causes the beam to destroy the building. The game ends after a set amount of time and gives a score, but it's a sneaky way to teach a little bit about the science of sound. Overall, the five activities of Tone Friends are a nice distraction on their own, something to play for a few minutes and make some music. There's also a lot of potential here for younger gamers, though, giving a safe place to play that also provides a little bit of musical education. There's definite potential in expanding Tone Friends, or creating a game like it, that goes even further in introducing basic musical concepts through play. What's already here is still an interesting experiment that's worth checking out for a dollar.